Notes: The Headlight Sally represents the Little Yellow Sally stonefly (Isoperla) when it is emerging to the adult stage at the surface film. 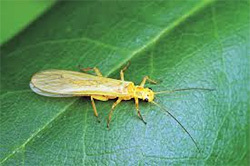 The Little Yellow Stonefly is a small stonefly of only 8mm (1/3 inch) for the females and slightly shorter for the males. Stoneflies have two sets of wings, two tails, and two antennae. 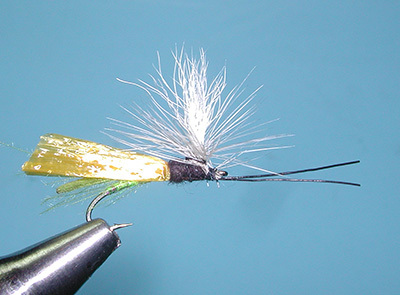 You will find Little Yellow Sallies in fast streams, particularly over gravel beds.The front half of the pattern is meant to float well while the rear half remains sunk within the film. 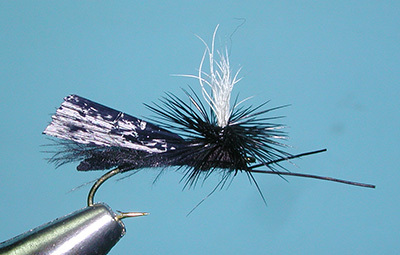 The pattern originated from Steve Overley of Montana and is being marketed by Umpqua Feather Merchants and Montana Fly Company. 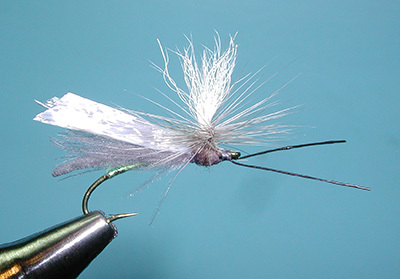 It is a very popular pattern during the early season of the Little Yellow Sally hatch of April through July, sometimes into August at the high elevations. The pattern is easy to see for both fisherman and trout. 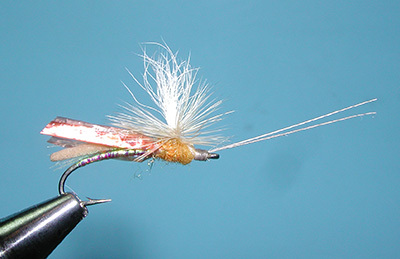 Steve adapted the pattern for caddis as well. The caddis will be found in slower moving water and the pattern works well with the detail parts showing the antennae, body, and wings. 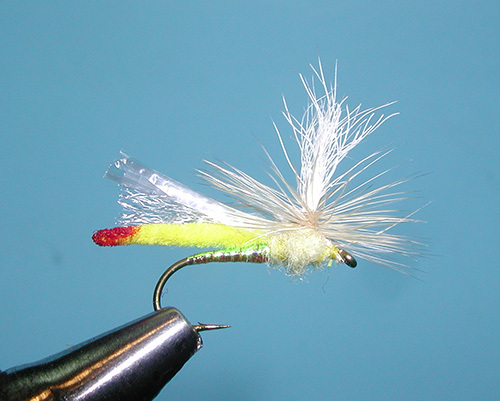 Use the proper coloration and size to match the caddis hatch.